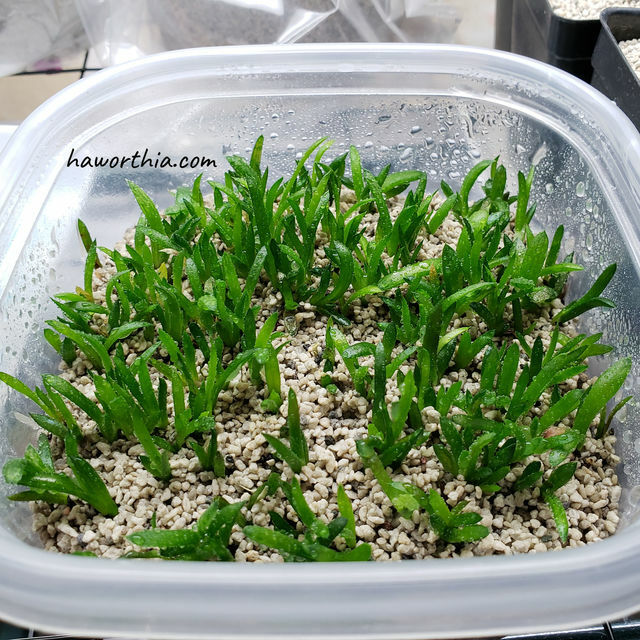 Haworthia seeds can be sown right after harvest. The shorter the wait, the more active the seeds are and therefore the higher the chances of successful germinations. Seeds are best sown within 6 months and when the temperature is moderate. The recommended germination medium is the same as the one for rooting. 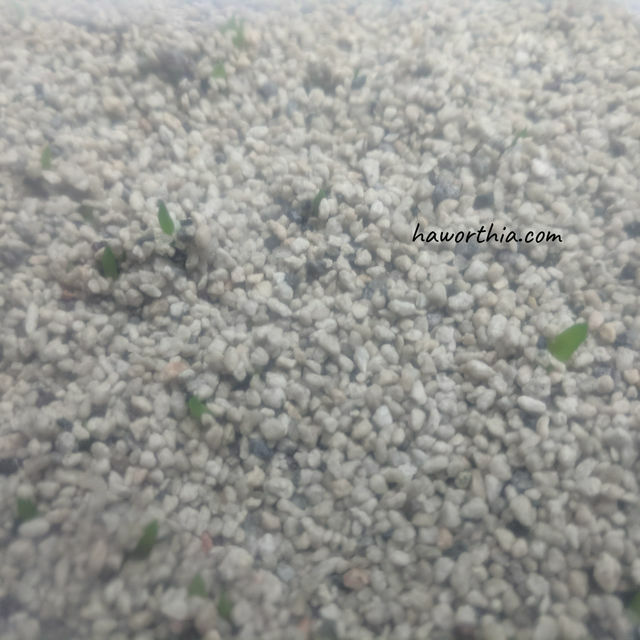 Fill at least ~3 cm of the germination medium in a clean container with drain holes. Sow the seeds on the surface and then cover them with a thin layer (~3 mm) of the germination medium. This layer stabilizes the young seedlings when they start to put down roots. Put the container inside a bigger container with a lid, and soak with a fertilizer solution with normal concentration for ~1 day. Close the lid to prevent pests like fungus gnats from hatching eggs in the medium. After that, take out the container and seal it in a clear plastic bag (for example, a zipper storage bag). This will keep the seeds in a fully saturated humidity. Keep the container in a bright place without direct sunlight. 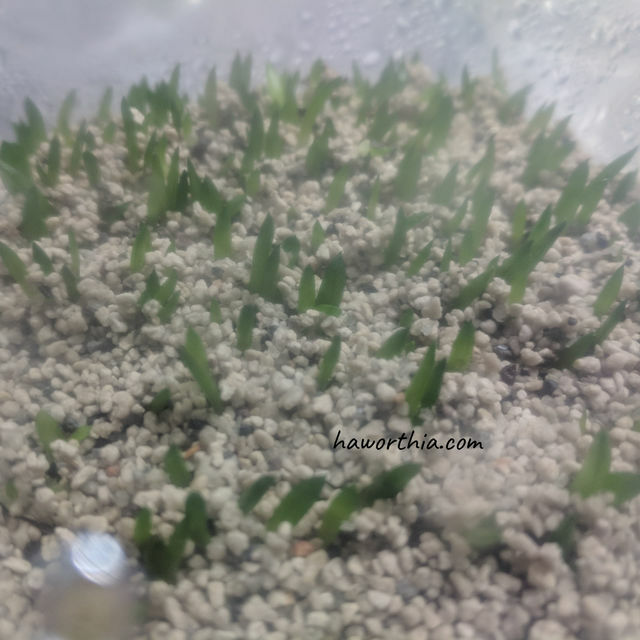 The first seeds will germinate in ~3 days and the germination goes on during the next ~3 weeks. Mix the seeds with a small amount of the germination medium then sow this mix. 3 months after sowing. the seelding are taken out from the plastic bag and exposed to open air. The sealed container should be periodically inspected to prevent from fungus affection or leakage of moisture. If any fungus is observed, take the container out immediately. After 3 months, the seedlings will grow 3~5 leaves. In ~3 days, gradually open the bag to let the seedlings adapt to the drier air. After that, water the seedlings in the same frequency as mature plants, with some water sprayings added in between to keep the medium wetter. The spraying frequency should be gradually reduced as the seedlings grow.